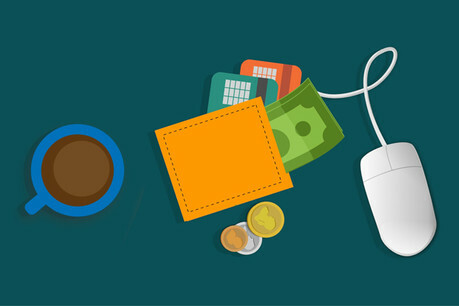 A 'blended approach' from a digital-first news publisher offers some insights into how news organisations can build an effective monetisation and membership strategy centered around ad-blocking and microtransactions. South Africa-based Daily Maverick began rolling out its Maverick Insider membership scheme in August 2018. Six months down the line and nearly 5,000 people have signed up for Maverick Insider. Among the various perks the membership offers, from exclusive newsletters to events access, an ad-free experience is the most prized one. Styli Charalambous, CEO, Daily Maverick, explained that one of the core problems under the previous advertisement revenue-dependent model was the number of visitors coming to the site armed with ad-blockers. "We’ve been experiencing the challenges of digital publishing ever since our publication was born," he said. "It’s been a challenge to grow the business through advertising and events, and we’ve done our best to compete on Google and Facebook." Readers who are not interested in the membership have two alternatives: whitelist the site, which allows ads to be visible; or take up one of three microsubscriptions, using pay-as-you-go platform Jamatto. 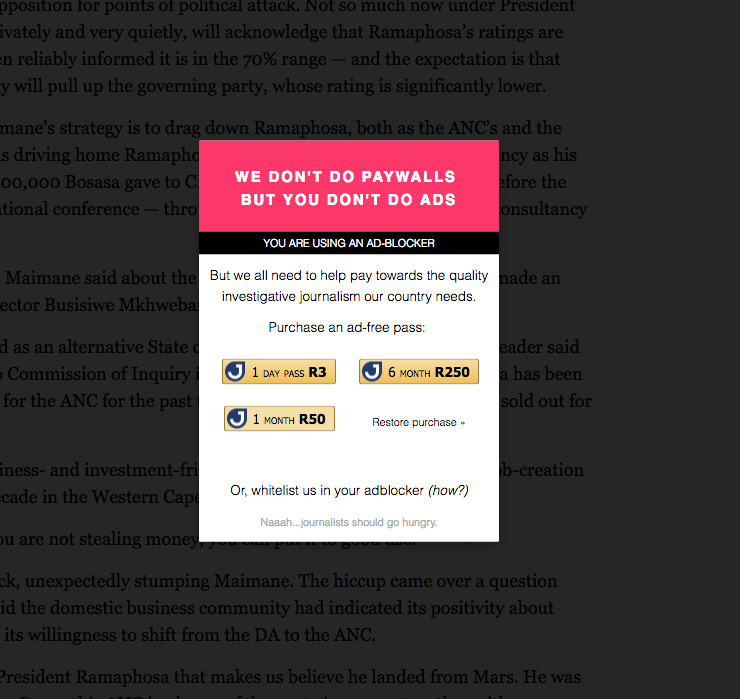 When accessing Daily Maverick with an installed ad-blocker, a pop-up confronts the viewer. Rather than hiding content behind a paywall, however, the publisher offers ad-free passes at rates of 3 Rand a day (17p or 22c), 50 Rand a month (around £2.80 or $3.60) or 250 Rand for six months (around £14 or $18). And it has worked. Since rolling out the changes, the number of people visiting the site with ad-blockers has dropped from 15 per cent down to two per cent. "For us, this means our premium ads get better exposure to visitors. Also, from an internal messaging point of view, our membership plan is marketed through those banners, and we are getting that message across to our readers now,” said Charalambous. But have the micropayments turn readers into paying members? Between November 2018 and February 2019, Daily Maverick has earned between $5 and $20 per 1,000 impressions thanks to the ad-blocking micropayment feature. Better still, it has achieved roughly a one-in-four conversion rate from pay-as-you-go customers to online subscribers. However, Charalambous explained that micropayments are not the centrepiece of Daily Maverick’s monetisation strategy, but instead feature as part of a mixed revenue model. He suggested news publications need to have six or seven different revenue streams, which can be a mixture of display and native advertisement, events, reader revenue, e-commerce, branded content, and syndication - for example revenue shares on aggregated platforms. "We don’t see micropayments as being a massive change for us in terms of volume and revenue. It’s a case of hitting a switch and seeing if it works," he explained. Though Charalambous welcomes the additional revenue, he is more focused on building the membership model and attributes the publication's growing numbers to quality journalism and non-invasive marketing methods. "Instead of a paywall, we went with a voluntary membership plan. We designed it around the reader choosing the amount they wanted to pay without blocking access to content. But that necessitated offering benefits to those members to entice them in. “People are willing to pay for good journalism if you ask in the right way. "We do our advertisement in a different way that doesn’t irritate readers as much as other places."